Since Brigitte Bardot and other icons have visited the Italian island back in the days, CAPRI became a place where the most beautiful people like to come to get their summer tan or simply enjoy the Bella Vita. 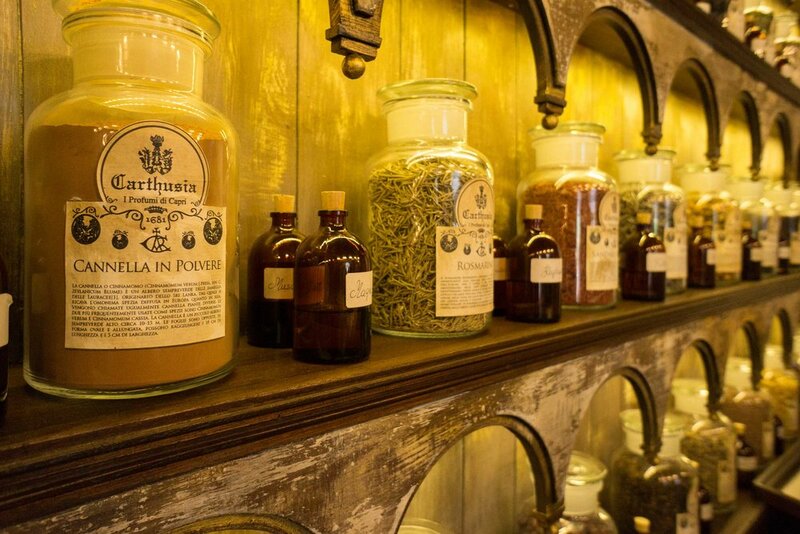 But there is something else just as alluring that you will find there: The perfume label CARTHUSIA.Exciting perfume creations with Italian flair. This is what describes the brand best. Silvio Ruocco, today’s head of the label, took over the firm in its golden days when there were only 20 people working for the brand. Today there are 60 and de product palette has increased from around 50 samples in the 90ies to around 200. Apart from that, the brand triggered a real lifestyle-hype thanks to its new owner. 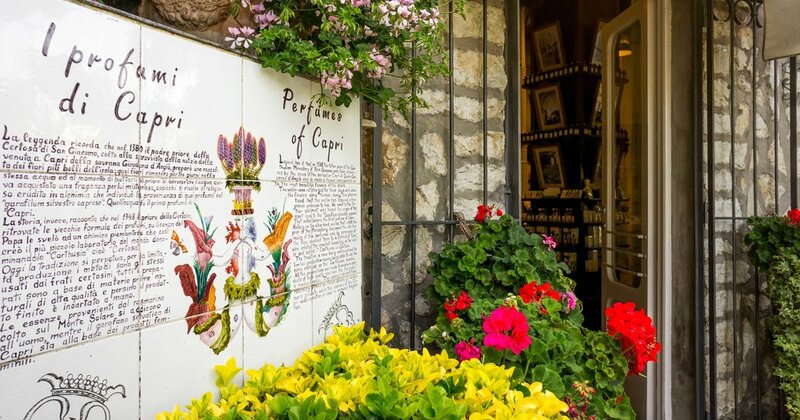 While in the past the scents only served as souvenirs from Capri, today the brand excels with four flagship stores in mainland Italy: One in Naples, one in Rome, one in Sorento and one in Positano. 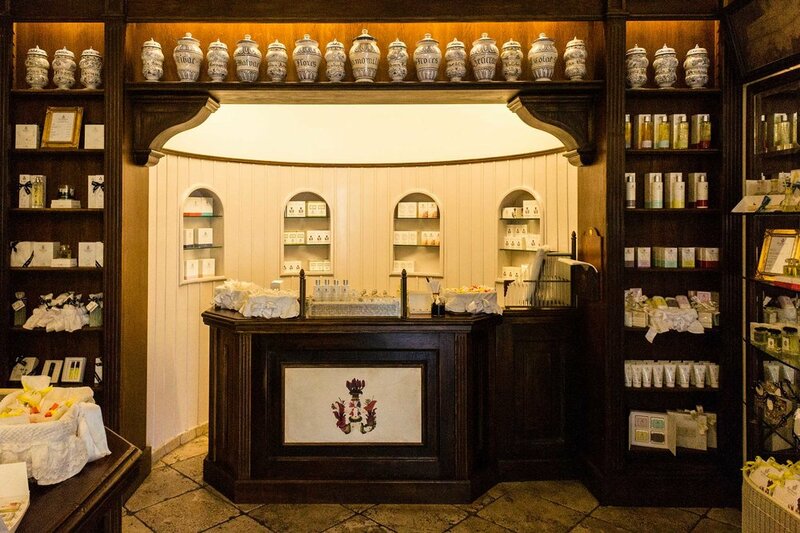 Furthermore, Silvio opened two more stores on CAPRI and even a Salone da Barba (Barbershop). This is exactly why we wanted to get to know the Italian entrepreneur better, talk with him about his great perfume brand and catch some insider tips for a trip to the marvelous island. More in the interview. Favorite book | it’s impossible to name only one! What are the most important facts about CARTHUSIA that we need to know? Of course our history. Without that, the present makes no sense. We have to grow up without losing our soul. Which trademarks do you focus on when you are creating new products? Why did you want to take over this company in the 90ies - what was so special about it? I was tired to see all the small artesian stores of the island disappear. They were part of our history of our culture. All the brands decided to be on the island just for their image, and at the end of the season they would close again, treating the island like a mall, changing the life of a small community. ###COL### Carthusia was ready to close because the Belgium owner was not interested anymore to follow and live in Capri, because, believe me, it is not so easy. After the 4 or 5 months of a brilliant summer you will have a hard winter. With passion and all my heart, I decided to buy and breathe life into this old brand again. Also the design of the products is outstanding - what is your design credo? We always pay attention to the past of our history, but we always try to pay attention to innovation and combine quality and quantity. You and your company are situated on Capri. How does this island influence your working process? The island influences everything we do! Carthusia identifies with the history, the culture and the glamour of the island. Does Carthusia also represent the style of the island? Describe Capri in three words: Fascinating but also with history and culture. Capri has a long history in matters of style. Which are the beauty secrets of the island? The beauty of the island is all that people try to be a part of the island's soul. As Capri is a style Mecca - what places would you recommend to visit - on the island itself but also around? On Capri every single place has its own charm from the Blue Grotto to the Faraglioni Rocks, Villa Jovis or Via Krupp, Augustus Gardens and Mount Solaro. You have to live the island as you feel it. ###COL### What are your favourite restaurants? The food is delicious everywhere! The Neapolitan kitchen is the base for many different ways to cook each single ingredient. For a little break every now and then, where do you go? The bars in the “Piazzetta” - the Salottos are the world’s best place for a coffee break or also a fast sandwich. Which ones are your most beloved locations regarding culture? Without a doubt, the CERTOSA and the Diefenbach Museum. Where should you go for some insights into the world of fashion and beauty? Via Camerelle! The shopping street with all the luxury brands. Personally, I prefer Via Le Botteghe. There are still some artesian shops ###COL### How would you describe Capri’s style? Elegance made with simplicity. No glitz! In the past I used Chanel n°19, but now only Carthusia 1681. Our CARTHUSIA-favorite: the „Note Room Spray Via Camerelle“: The creation is named after the well-known street of Capri, the elegant ambient and shopping street Via Camerelle. It starts with fresh top notes with lemon and orange. The heart is made out of maritine notes and finally based on musk and cedar woods. For € 45,– (Spray per Ambiente, 100 ml), available CARTHUSIA.